TOPIC | --MINIMALIST BREEDERS HUB-- !!OPEN!! Welcome to the Minimalist Breeder Hub! Here at Minimalist Breeders, we aim to focus on the under appreciated beauty of basic, and single gene dragons. Now, while we appreciate simplicity, we also want a level of care put into our pairs. 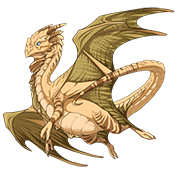 This is not a hub for simple exalt fodder dragons or careless breeding, this is a hub for select breeding pairs. This is why not only are genes the primary focus, but colour as well! Please do not advertise hatchlings here that do not meet the basic requirements of our tiers. Do not advertise your hatchery or hatchlings here if you are not a member. Do not spam the ping list. Please edit or delete your sales post once all hatchlings are sold. If you have any questions, concerns, or feedback, please let us know! Firstly! I just want to thank @Soleil for letting me take this hub over! I was welcome to re-open the hub! If you were a member of the previous hub, please re-apply. Our main focus is genes, number of genes, and colours. Here, a breeds rarity does not matter. There are only three Tiers one may qualify for. Please read each one carefully before applying. If you have any questions, please don't hesitate to ping @KittyCosmonaut. Colour groups are colours that match together monochromatically off Flight Rising's colour wheel. Read more about Colour Groups. Simple genes are genes that are not busy with an overload of patterns, or colour variations. These genes must look minimal. For example: Black Clown is not a simple gene. and any colour between these colours on Flight Rising's colour wheel. Colour variance is the number of colour steps between each Primary, Secondary or Tertiary colour when bred together. White to Obsidian has a 9 colour variance. Indication of a dragons colour scheme. The Simple Tier is the lowest Tier that a breeder may qualify for. Pairs accepted at this Tier may exhibit multiple genes & colours. A Simple Tier pair may consist of two parents who have Primary, Secondary & Tertiary's of any colour. Simple pairs do not need to have a visible Tertiary. The Zen Tier is the second highest tier a breeder may qualify for. that fall within the same colour group. There must be a variance of 10 or less between their Primary, Secondary & Tertiary colours. A pair of Zen dragons may only exhibit one gene. If Primary and Secondary are Basic genes, the Tertiary gene must be visible. The Minimalist Tier is the highest tier a breeder may qualify for. monochromatic Primary and Secondary colours. and a variance of no more than four between their Tertiary colours. A pair of Minimalist dragons may only exhibit one gene. Primary, Secondary, and Tertiary colours must fall within the same colour group. Minimalist hatchlings born with matching eyes are a plus! Think your already to apply? then ping @KittyCosmonaut and let us know you did! Feel free to use these badges anywhere you desire! Only members may use our badges! you can use this handy guide to figure out where your dragon sits in our ranking! Maize, White, Ice, Platinum, Silver, Grey, Charcoal, Coal, Black, Obsidian & Midnight. General & Specific ping lists can be found HERE. Once registered, feel free to add yourself to either list. DO NOT use the ping lists outside of this thread! Please only re-ping members if you have added NEW hatchlings. Only members may use the ping lists. Non-members are free to add themselves to the list only. WELCOME TO THE BREEDERS DIRECTORY! Below is a list of all current Simple breeders. Please feel free to browse, and check out their hatcheries! Below is a list of all current Zen breeders. Below is a list of all current Minimalist breeders. Here is where we will host raffles, giveaways, and other fun activities! 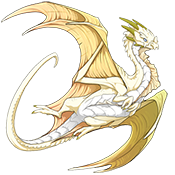 Currently, we have an ongoing Dragon of the Week spotlight! Feel free to nominate dragons that match our Breed Standards. Every Saturday we will pick one to showcase. If you have any suggestions or ideas for fun Hub activities, let us know! Just PM @Kittycosmonaut to add your own breeders association to our affiliate list!